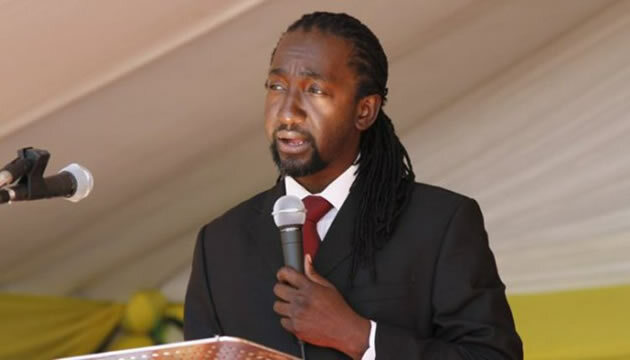 Youth, Indigenisation and Economic Empowerment Minister Patrick Zhuwao was yesterday ordered out of Parliament after he failed to respond to enquiries about his role in the engagement of a private consultancy firm for his ministry without going to tender. Minister Zhuwao was involved in a heated exchange with portfolio committee chairperson on Youth, Indigenisation and Economic Empowerment Cde Justice Mayor Wadyajena. This was after Minister Zhuwao accused the committee of embarking on a witch-hunt by enquiring about an issue which his permanent secretary, Mr George Magosvongwe, had clarified. Legislators in turn accused Minister Zhuwao of being under the influence of some substance as he occasionally made hysterical laughter and declined to explain his relationship with Tripple Bottom Line Consultancy to spearhead the National Economic Empowerment Strategy. “My name is Patrick Zhuwao and can you allow me to respond in a manner that Patrick Zhuwao responds,” said Minister Zhuwao, a statement that he constantly repeated. “We know that your name is Patrick Zhuwao and we also have names that we love, but can you respond to the questions,” said Cde Wadyajena who is also Gokwe Nembudziya MP. “Minister, it is within your rights that you can excuse yourself. If you are not ready you can come back whenever you are ready. We can’t spend the whole day on enquiring and investigating. You had the letter for the past month. You may laugh about it,” said Cde Wadyajena. Minister Zhuwao said he did not have a prepared presentation because he was not sure what the committee wanted him to respond on. Other legislators said they were surprised by Minister Zhuwao’s conduct saying their previous interaction with him was characterised by his articulation of issues. After a protracted exchange, the committee asked Minister Zhuwao to leave the chamber saying he would come back when he was “sober and when he understood the questions and issues involved”. In his evidence last month, Mr Magosvongwe distanced himself from the appointment of 3BL saying it was Minister Zhuwao who had unilaterally hand-picked it. Appearing before the committee, 3BL owner Ms Thandi Ngwenya conceded that she directly engaged the Minister because they had a personal relationship. After more than 40 minutes of being questioned on whether Government allows the release of documents to friends or companies not registered with SPB without the custodian of the documents being involved, Minister Zhuwao said Ms Ngwenya was not his friend, but was providing a service to the ministry. He said he made available Government documents to Ms Ngwenya since it was public information and as the minister, he did not seek the permission of the permanent secretary to try and get that information to the committee. Minister Zhuwao said he was not aware of any invoice as there was no chargeable work hence he could not verify evidence given by his subordinates.